PITTSFORD – Townline Equipment, a family-owned business founded by the Marrazzo family in Plainfield, N.H., has added a second Kubota dealership in Central Vermont through the recent acquisition of Giddings Manufacturing. Located five miles north of Rutland on U.S. Route 7 in Pittsford, Giddings was one of the original 25 Kubota dealerships in the U.S. and has been a dealer for Kubota tractors, equipment, parts and service for over 45 years. Townline Equipment is also one of the oldest Kubota dealerships in the country, and has served the equipment, parts and service needs of Kubota customers in New Hampshire and Eastern New England since 1972. The company specializes in high quality, high performance equipment for a range of markets including construction applications, agricultural operations, personal property management, landscaping, municipal work, snow removal applications and forestry operations. Their new location in Pittsford greatly expands the company’s reach to new customers in Central and Southern Vermont and Eastern New York. 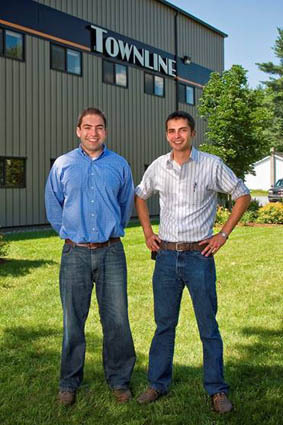 Co-owners Matt and Drew Marrazzo are the second generation to operate the family business, taking over from their father, Bob Marrazzo, in 2011. Townline Equipment employs 30 people between the two locations. T.J. Dickinson, a third generation Townline employee, has been named manager of the new Pittsford store. Townline’s Pittsford location sells and supports the full line of Kubota tractors and turf equipment, select Kubota hay tools, a wide variety of Land Pride and other implements, and will have used equipment for sale. They will also offer commercial rental opportunities for Kubota construction equipment including compact excavators, compact track loaders, skid steers and wheel loaders. Customers looking for Kubota construction equipment, Case construction equipment, New Holland hay tools, Kuhn tillage and hay tools and additional products from a long list of implement manufacturers are encouraged to call the Plainfield store. Business hours are 8 a.m. to 5 p.m. weekdays and 8 a.m. to 12 p.m. on Saturdays. For more information call (802) 483-6464 or visit TownLineEquipment.com.